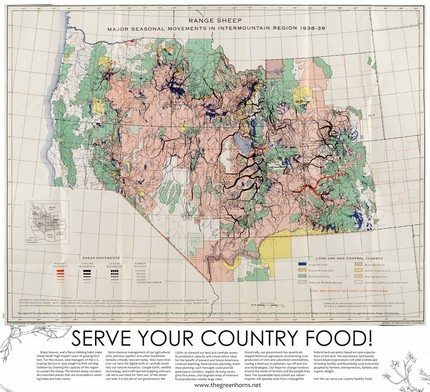 Serve Your Country Food Posters! Greenhorns & Real Food Lovers – decorate your walls with Greenhorns stuff! We’ve got a new poster for sale on the Greenhorns’ etsy site. This is an18 x 20 inch poster, eco-printed by unionized leftists in Berkeley, CA. Full color with an image from the prelinger archive (www.prelingerlibrary.org) And a mini essay by Severine at the bottom. Each order includes two posters. $20 for the two! The Greenhorns’ etsy site also has links to Greenhorns stickers and t-shirts. A Green Fashion Show & A Greenhorns Bake Sale!